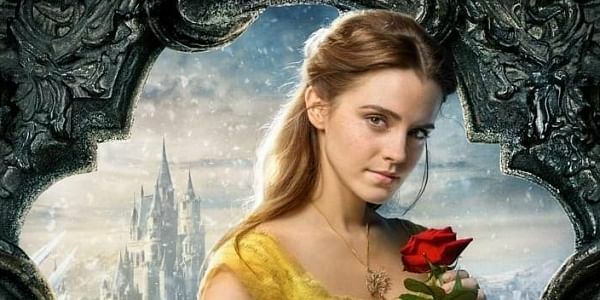 An ultra-conservative Russian lawmaker urges the culture ministry to check Disney's upcoming film Beauty and the Beast for possible breaches of a law banning gay propaganda. Emma Watson on the official poster of 'Beauty and the Beast'. MOSCOW: An ultra-conservative Russian lawmaker on Saturday urged the culture ministry to check Disney's upcoming film "Beauty and the Beast" for possible breaches of a law banning "gay propaganda". In a letter to Culture Minister Vladimir Medinsky seen by RIA Novosti state news agency, MP Vitaly Milonov called the film "blatant, shameless propaganda of sin and perverted sexual relationships." Bill Condon, the director of the film due for release in Russia on March 16, has revealed that it will contain Disney's "first exclusively gay moment", although some critics have said it is less than overwhelming. Milonov urged the culture minister to hold a special screening of the film ahead of the premiere and to "take measures to totally ban the showing of this film" if he found "elements of propaganda of homosexuality". The Walt Disney Company Russia & CIS did not immediately respond to a request for comment. Milonov became a member of the national parliament for the ruling United Russia party last year after serving as a regional lawmaker in his home city of Saint Petersburg. He became notorious as one of the chief instigators of Russia's law banning "gay propaganda", signed by President Vladimir Putin in 2013. The law which prompted international condemnation bans distribution of information that could interest those under age 18 in "non-traditional sexual relationships." It has been used as a pretext to ban gay pride events. With ultra-conservative views on morality, Milonov has attacked everything from Facebook to the Eurovision Song Contest and called for the creation of a morality police to fine people who violate "traditional values". Russia decriminalised homosexuality in 1993 and only in 1999 lifted its classification as a mental illnesses.